A fun and unique chocolate gift to give at Christmas. 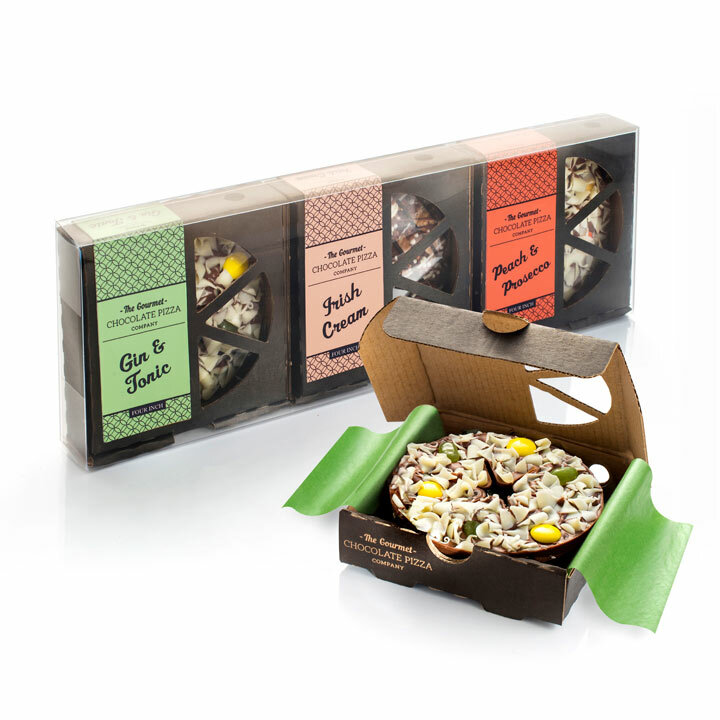 Made by hand, a set of three 10cm diameter chocolate pizzas, each individually boxed. Milk chocolate base with assorted toppings.